It is a place to access powerful and amazing tools. It is a resource for everyone in a diverse community. It is a place where co-working and collaboration can happen. It is a place that enables and empowers entrepreneurs. It’s a place where it’s OK to fail. It is about real interaction, presence and community. 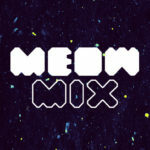 It’s a place to learn new skills and be exposed to great ideas. It’s like a gym membership, with an easy fee structure. Santa Fe has always been driven by creativity. We are home to some of the most creative artists, craftspeople, industrialists, scientists, and writers in the world. The city is among the top ranked of US metropolitan areas in its concentration of fine artists, visual artists, animators, art directors, architects, and authors. Moreover, the presence of world-class scientific institutions has endowed the area with top minds working on the frontiers of the digital age in both industry and science. Finally, many or our people and citizens are barely a generation removed from creative ingenuity being a daily practice for thriving based on their own resources. This “big tent” creative class has been a key driving force throughout Santa Fe’s history, and it holds remarkable promise for the city’s future. When we talk about MAKE Santa Fe, the goal is to catalyze this creative class by providing an easy means through which collaborative creativity in art, craft, industry, and science can occur. To accomplish this goal we have created a broadly conceived makerspace that will embrace and enhance the creative community by providing new opportunities for interaction, learning, and creative expression for all members of our city and broader community. MAKE Santa Fe is, in part, motivated by the emerging maker movement that leverages digital technologies to remake manufacturing and job skills while simultaneously reconnecting us to our roots in creative problem solving. Today’s makers take advantage of technological and cultural shifts that have removed the industrial age barriers along the value chain, allowing an individual or small group of innovators to design, prototype, manufacture, and distribute their creative output on very short timescales. The process of creative destruction has never been more promising or more accessible. 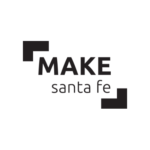 We hope you will join us in thinking about MAKE Santa Fe and helping to push it beyond the typical makerspace. We believe that creative collaboration goes well beyond arts and crafts, flowing easily into industry and science. Thus, we will also develop tightly integrated coworker and entrepreneurial space.Innovation, whether in science, art or industry, is tied to interactions among creative people.